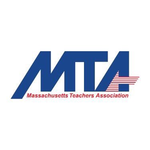 The Massachusetts Teachers Association is now accepting proposals for two-hour workshops for a conference on advocating for and supporting English Learners and Students with Special Needs. The conference will be held at Mountview Middle School in Holden, MA, on March 2, 2019. When choosing workshops, we will choose from the strongest proposals that provide a balanced program to meet the needs of our diverse group of participants. The title: If you have to choose between cleverness and clarity, always choose clarity. People will read descriptions for workshops that sound relevant to their needs. They won't have time to read every single description in the catalogue. It's about the participants, not you. Don't use the pronouns "I" or "me." Instead use "we" or "you." Refer to the people in your workshop as "participants". Be clear with the expectations people should have going into the workshop. If copying and pasting your proposal into the form, please be sure that it includes everything. You are limited to 250 words. If you have any questions, please direct them to Jessica Parlon, Coordinator, Division of Training & Professional Learning, jparlon@massteacher.org.